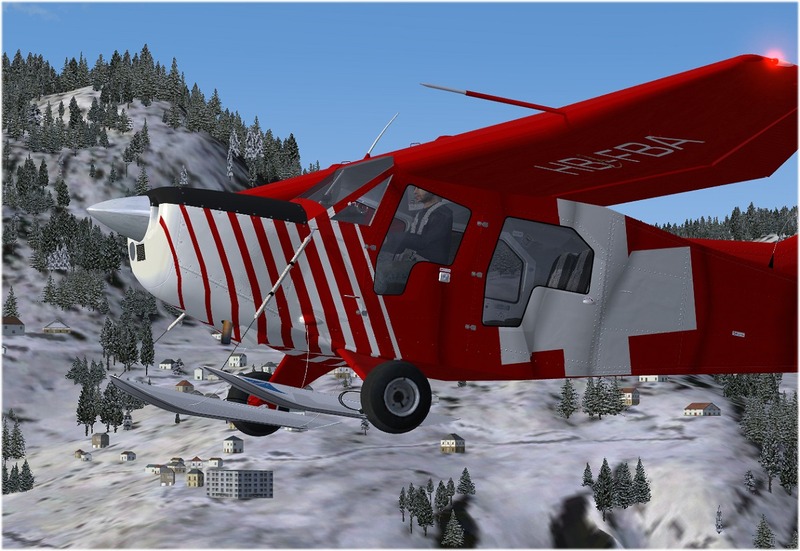 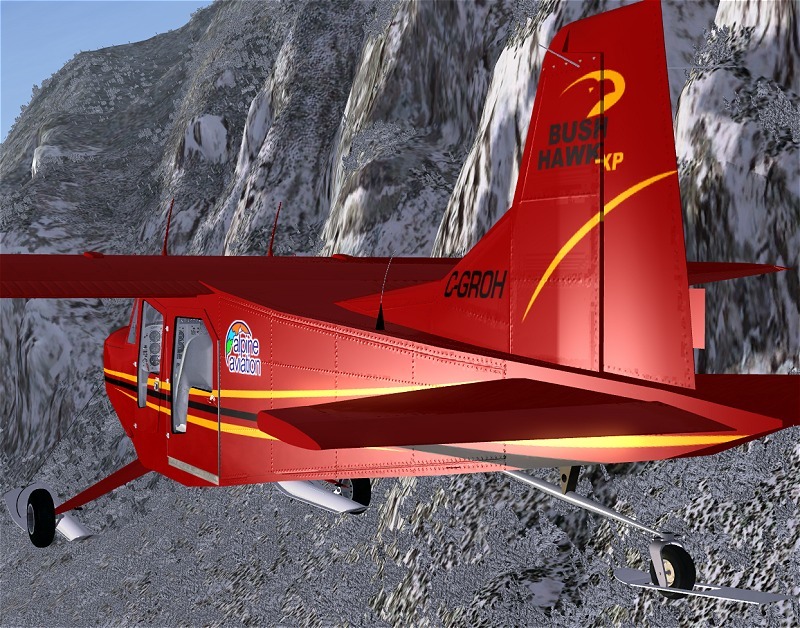 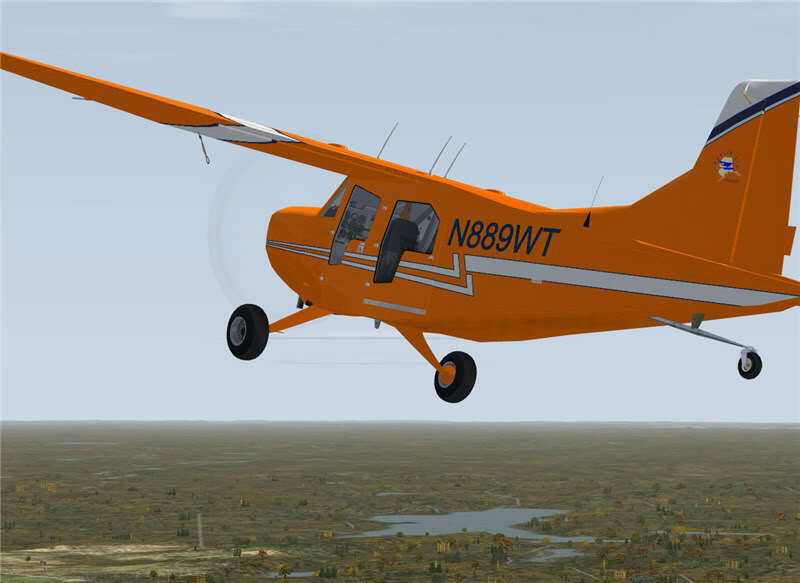 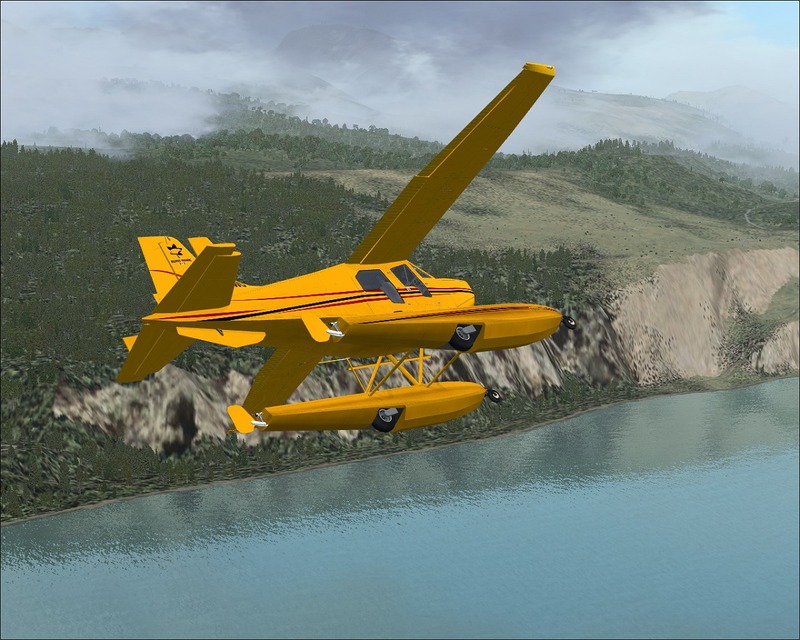 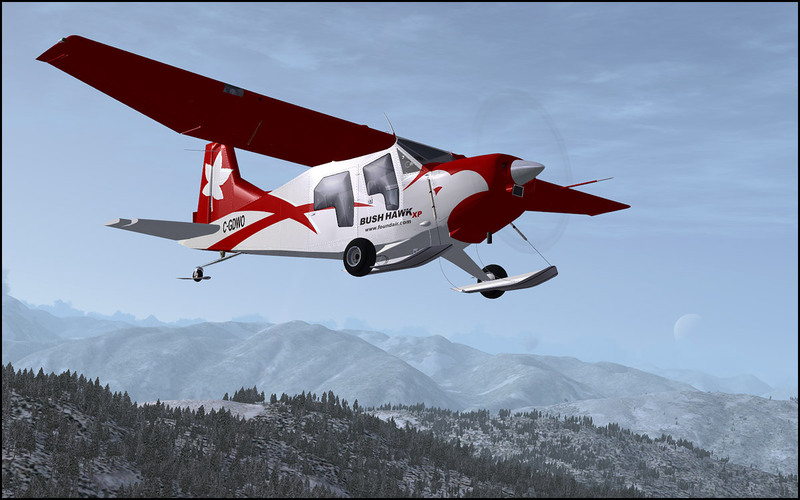 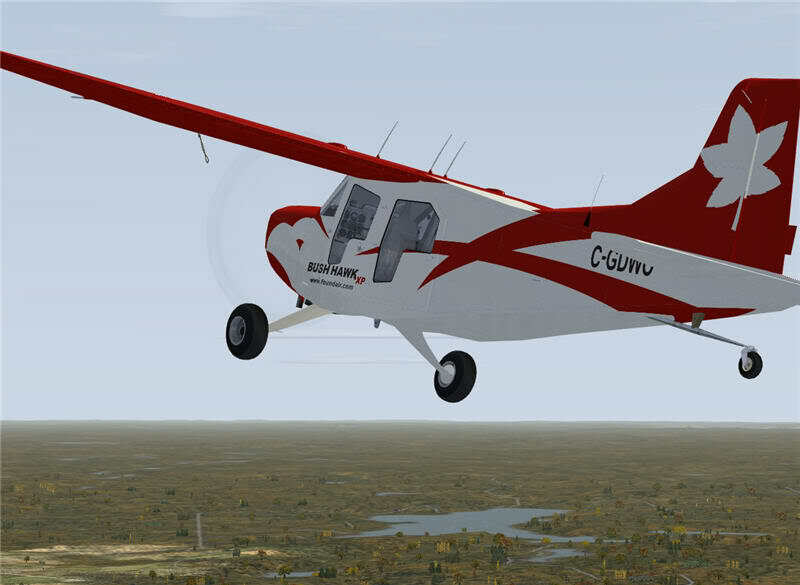 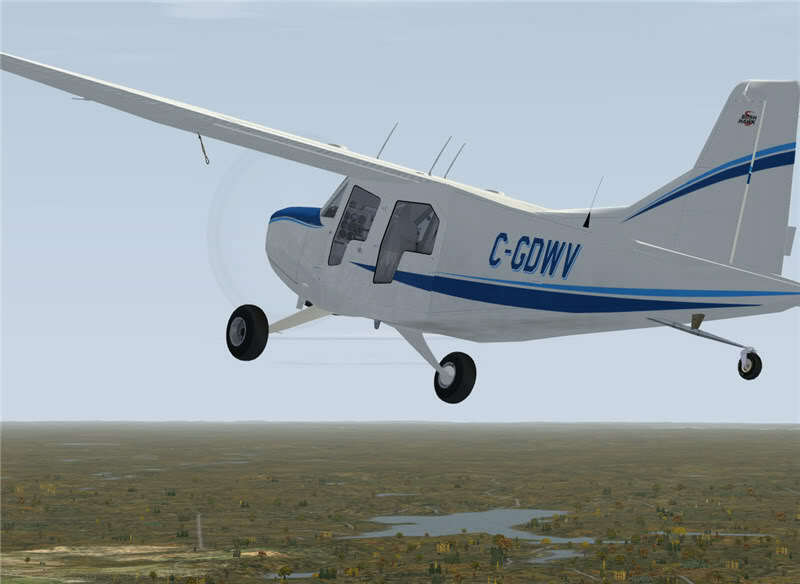 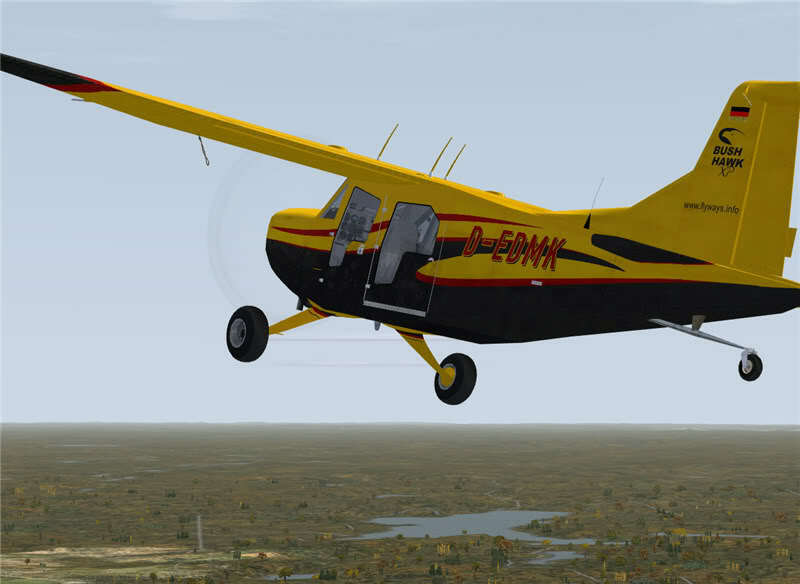 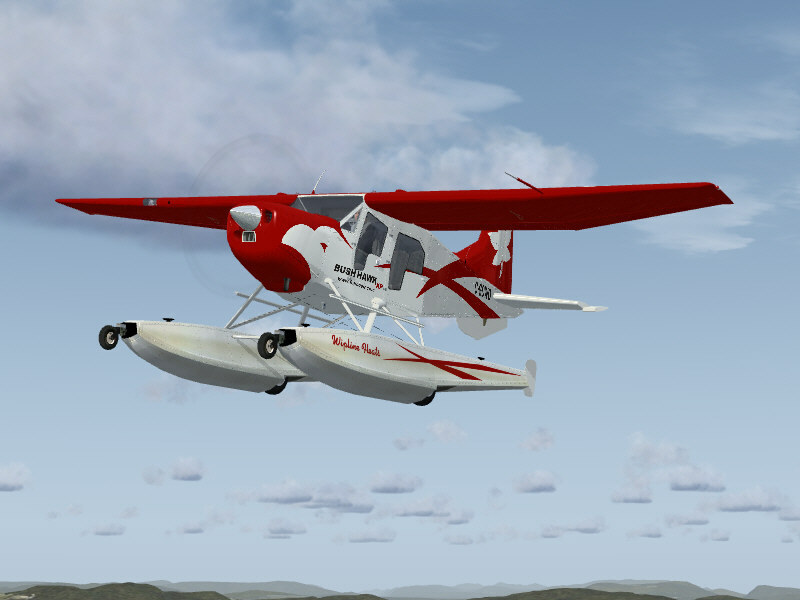 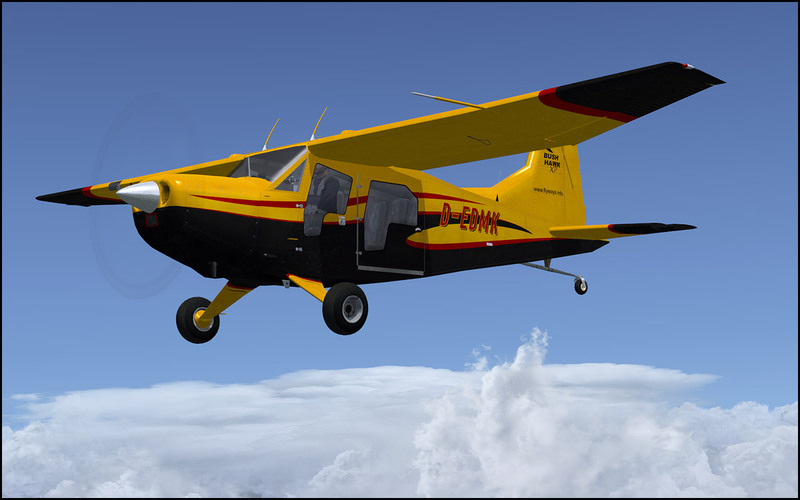 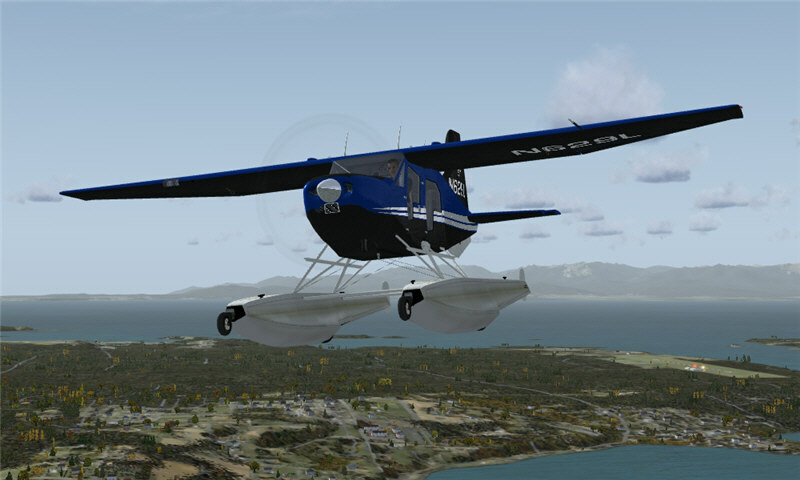 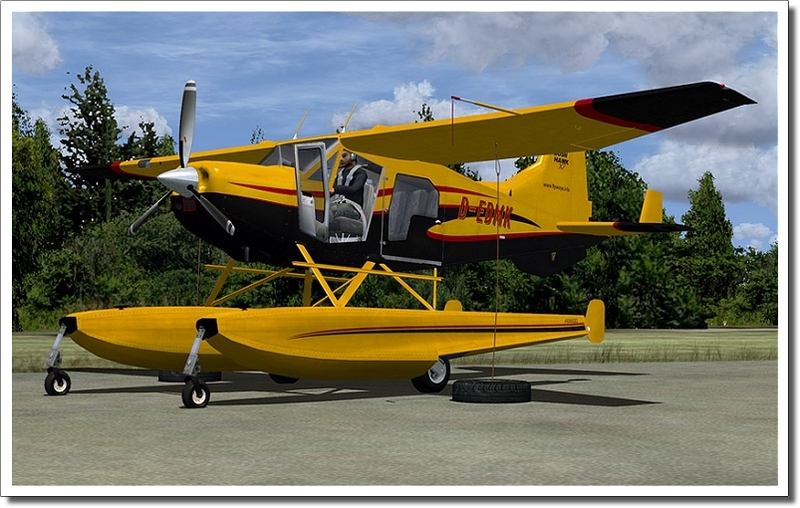 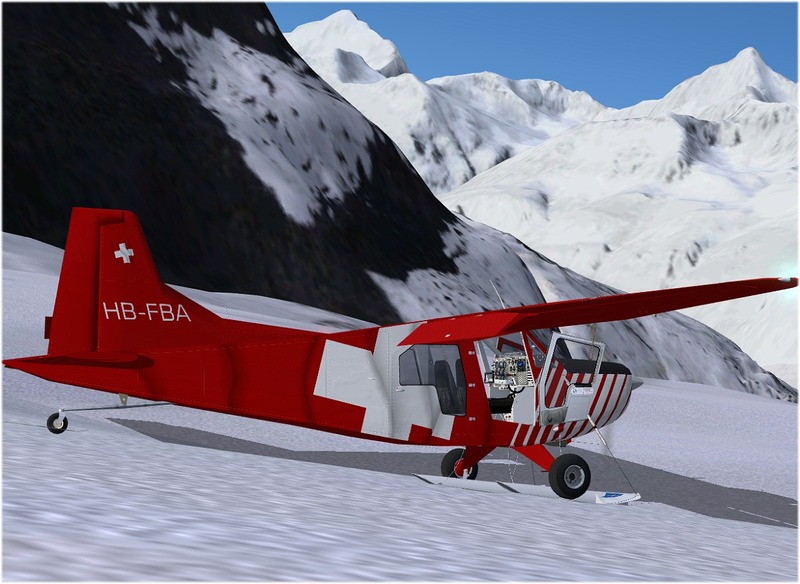 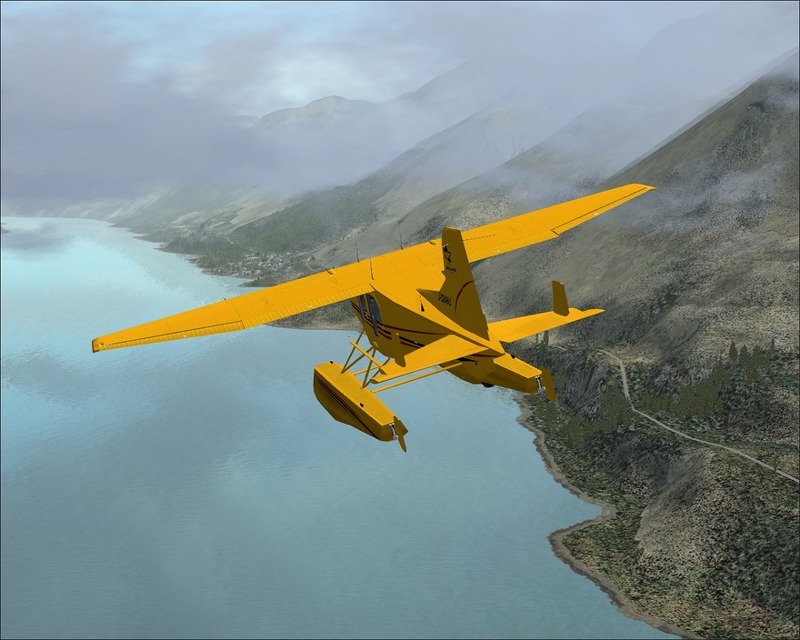 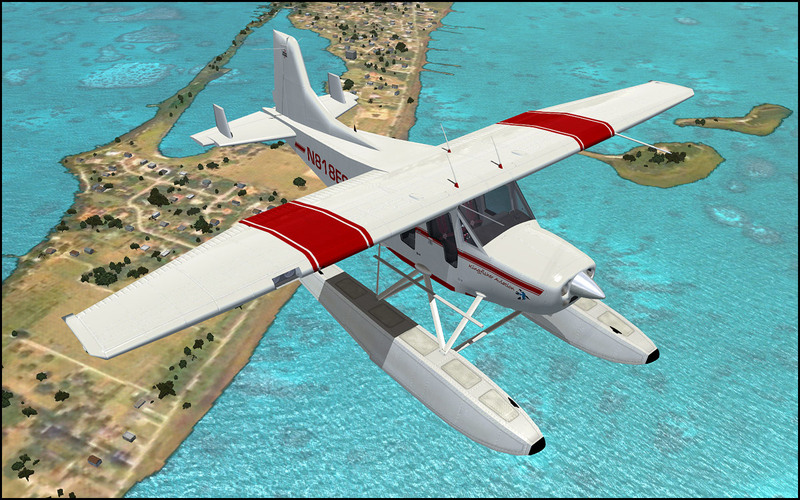 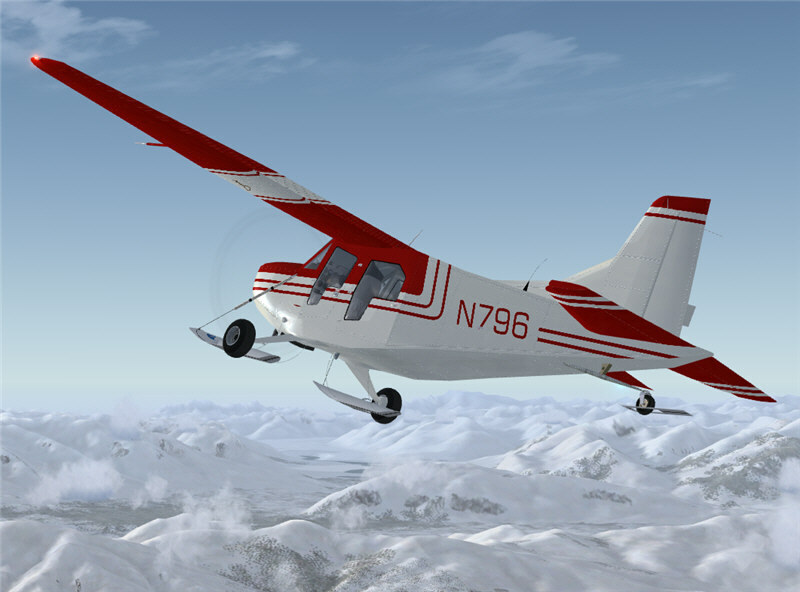 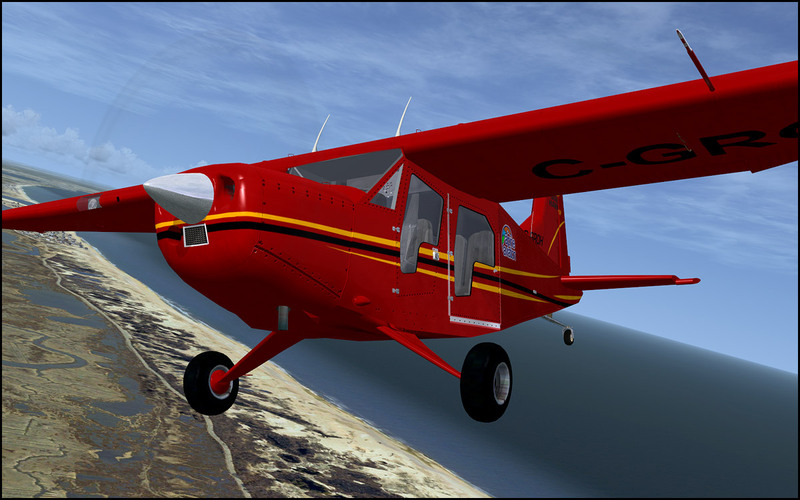 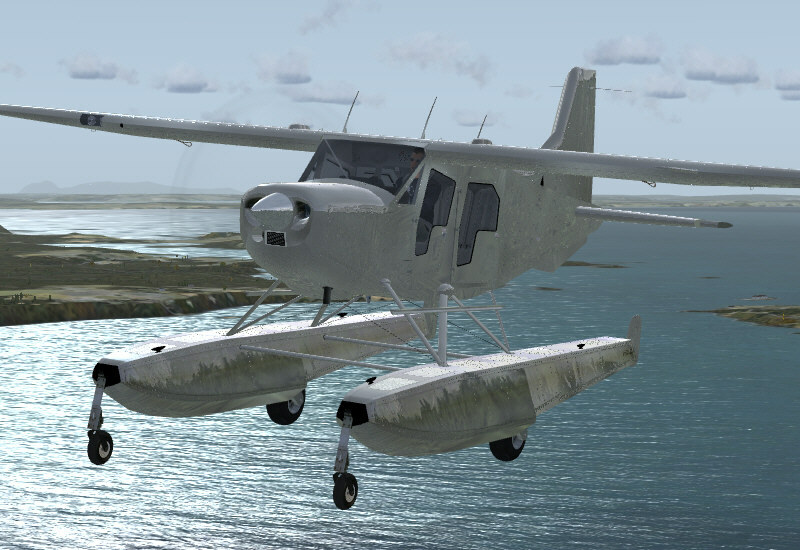 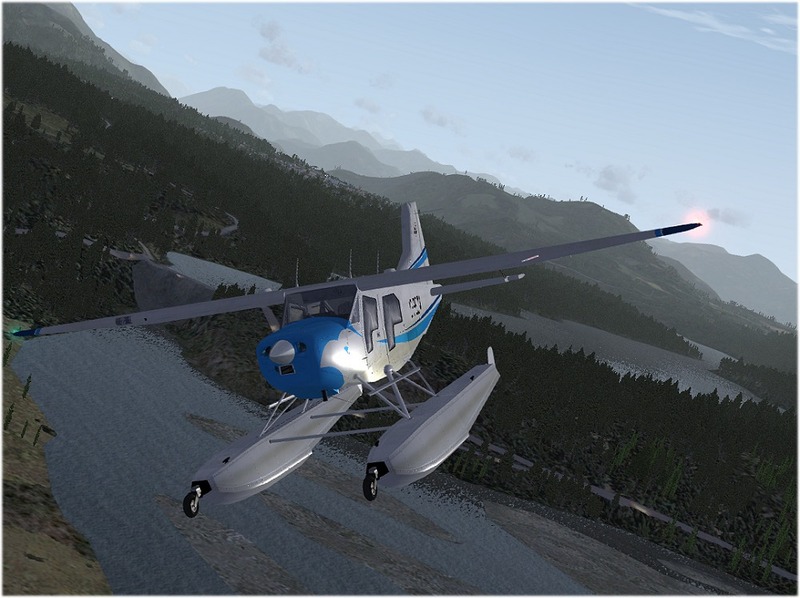 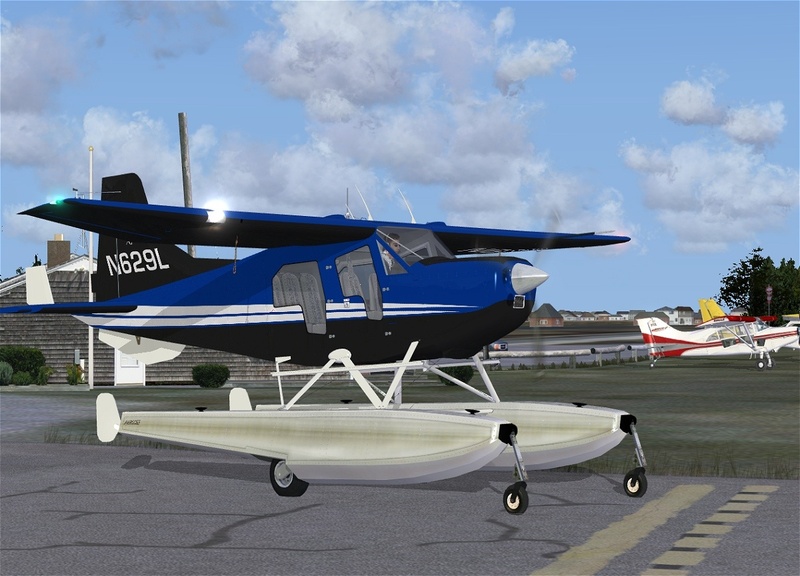 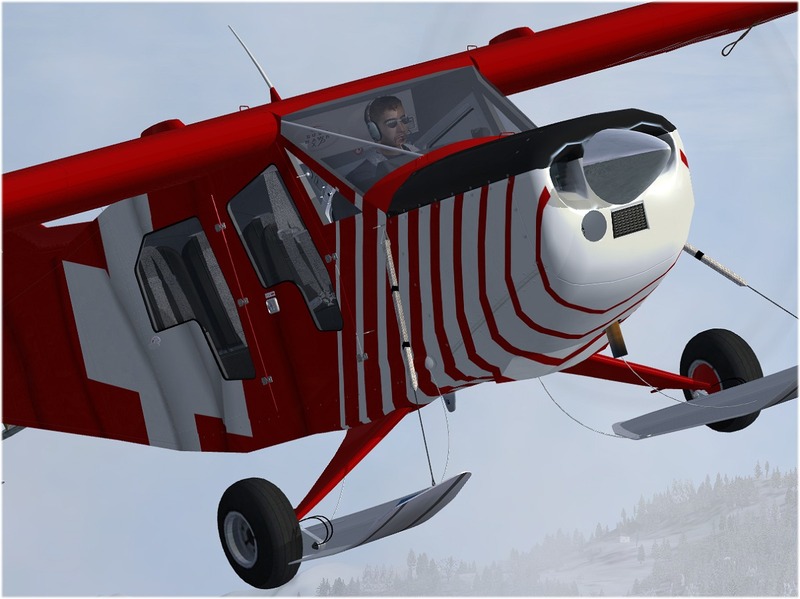 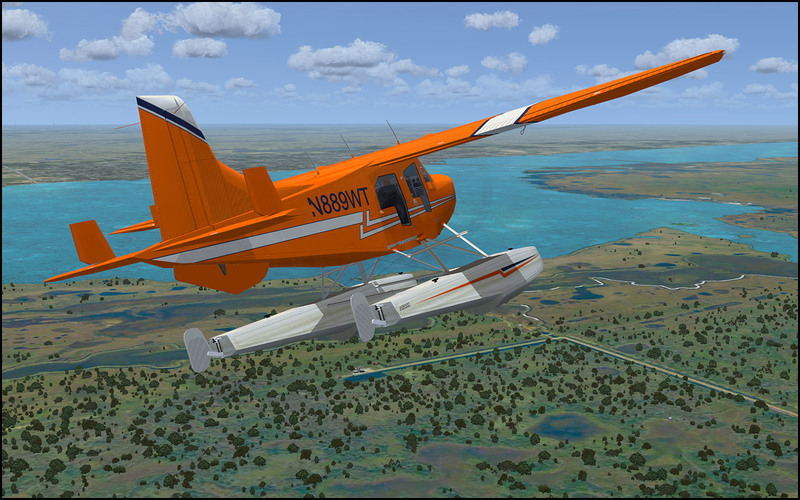 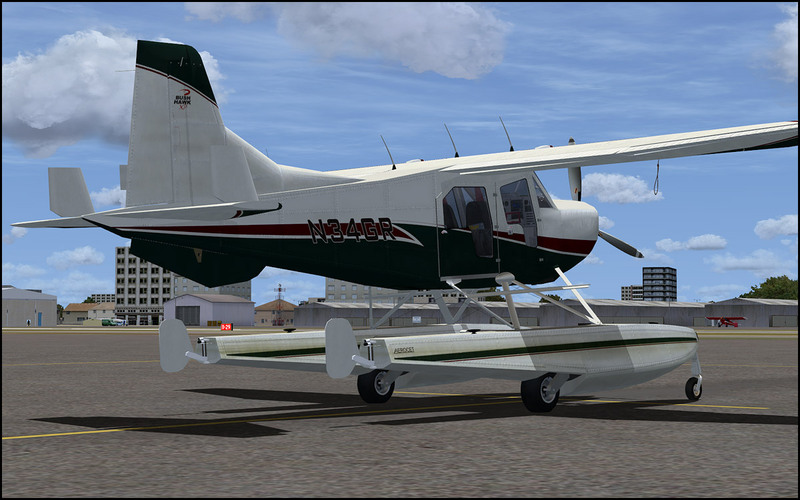 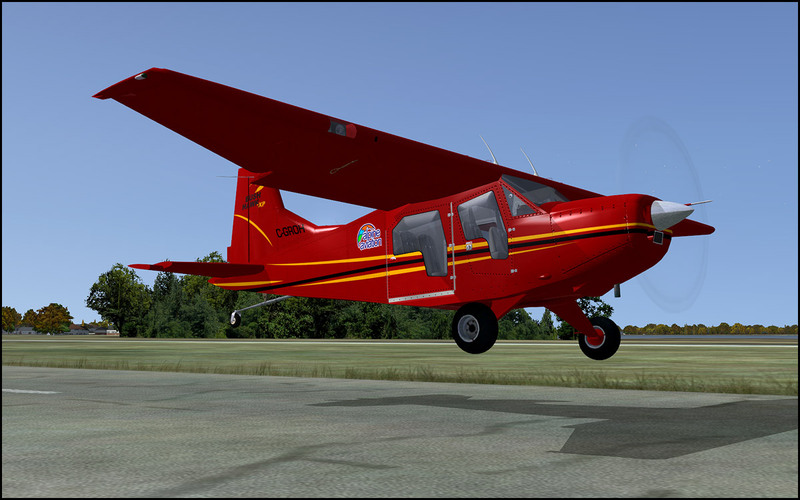 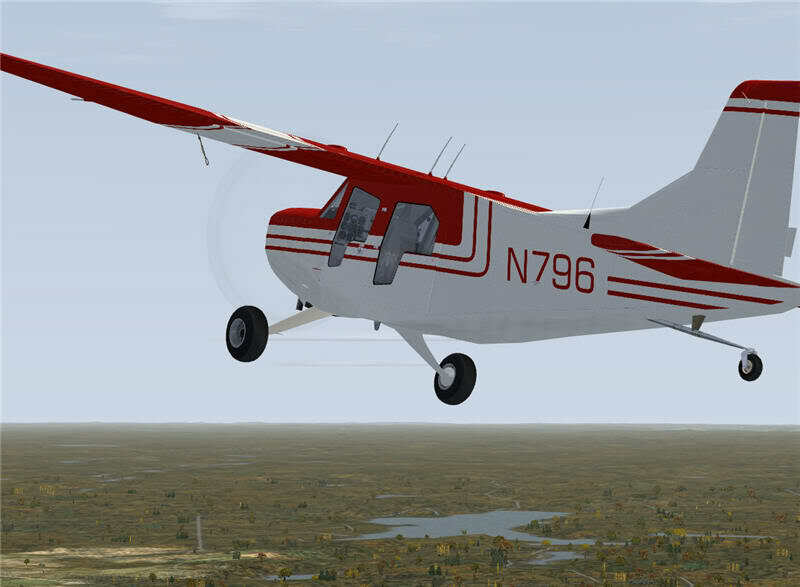 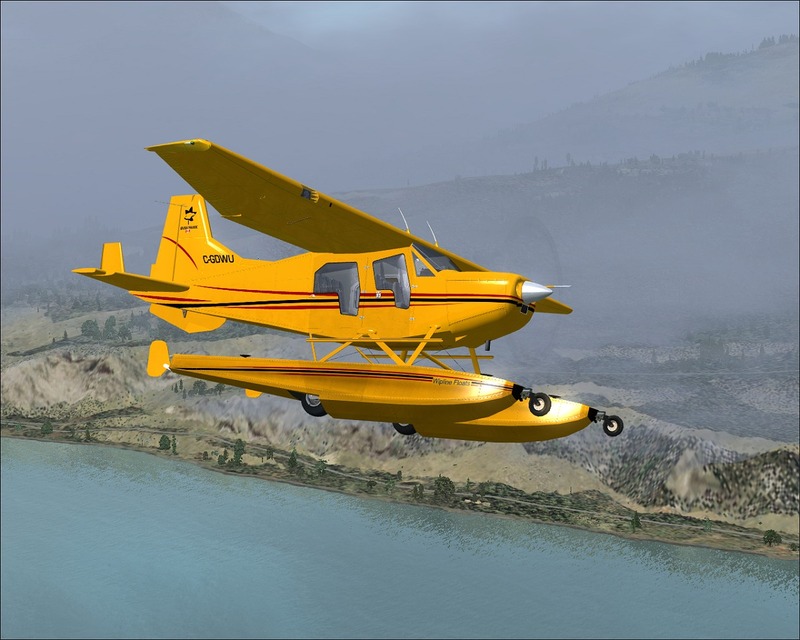 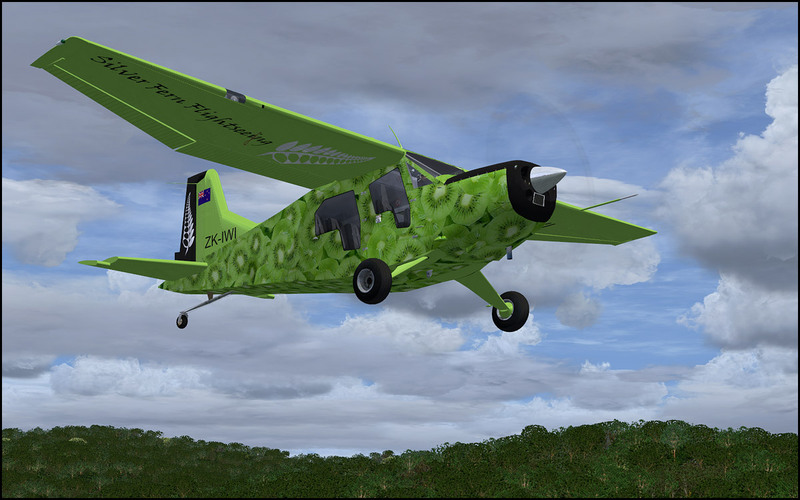 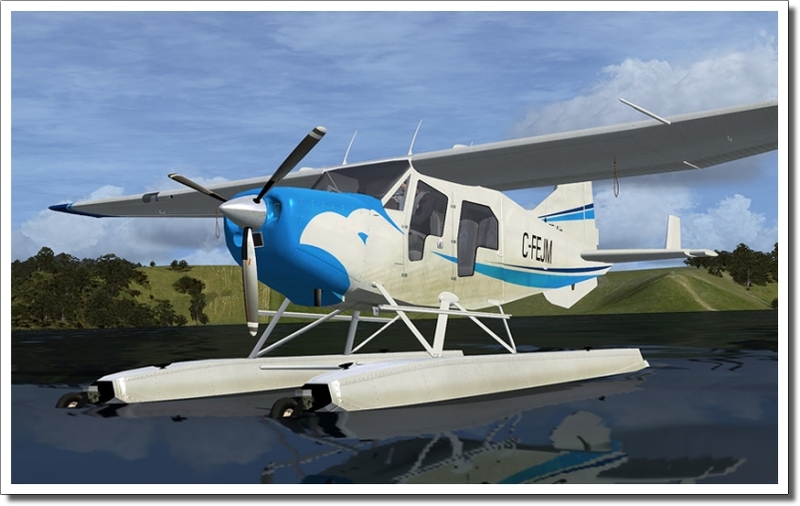 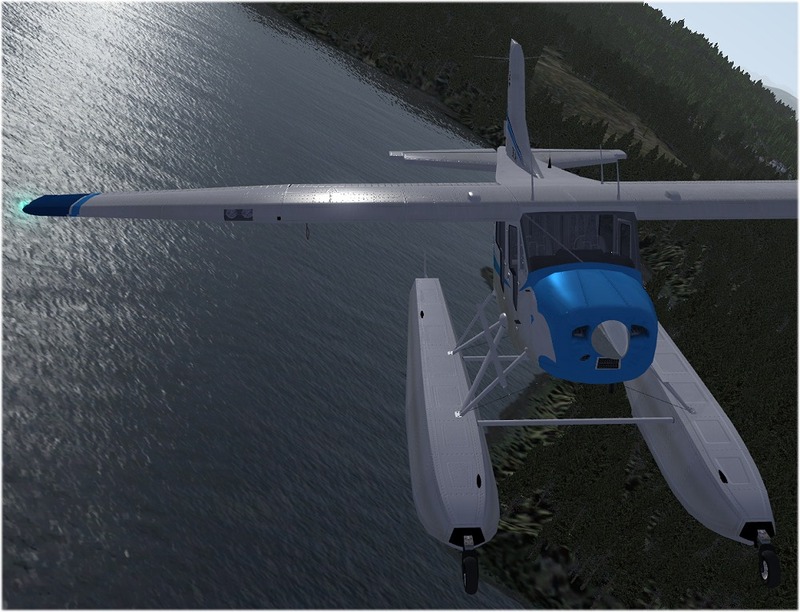 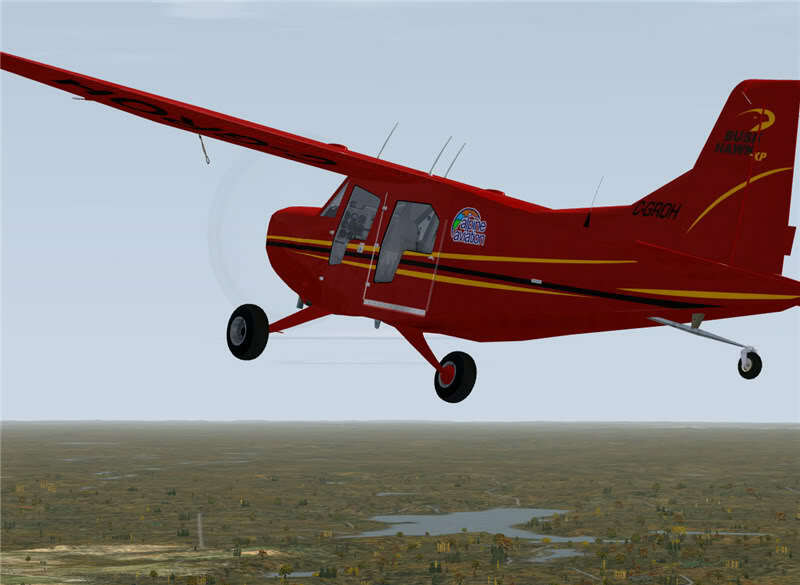 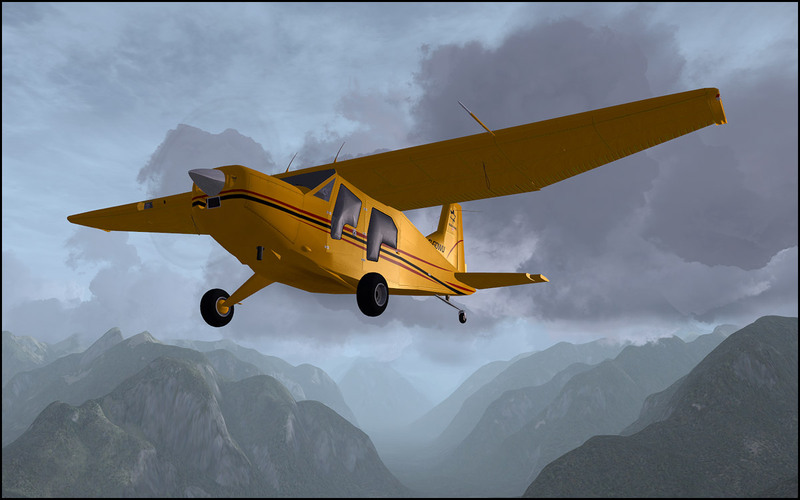 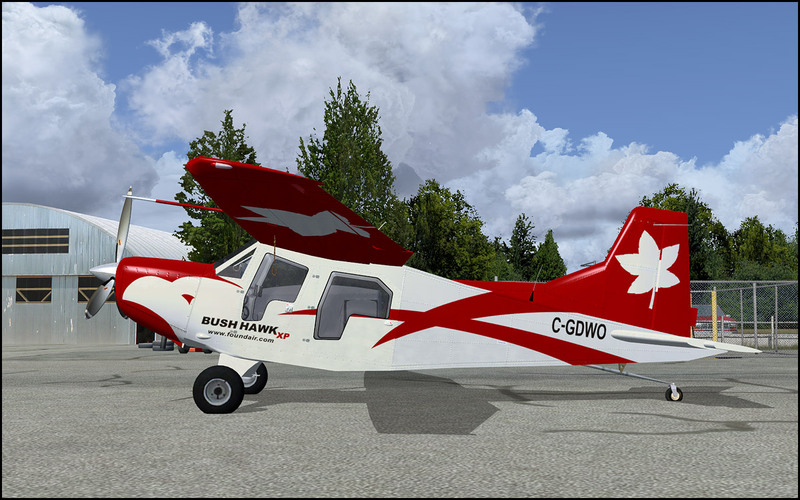 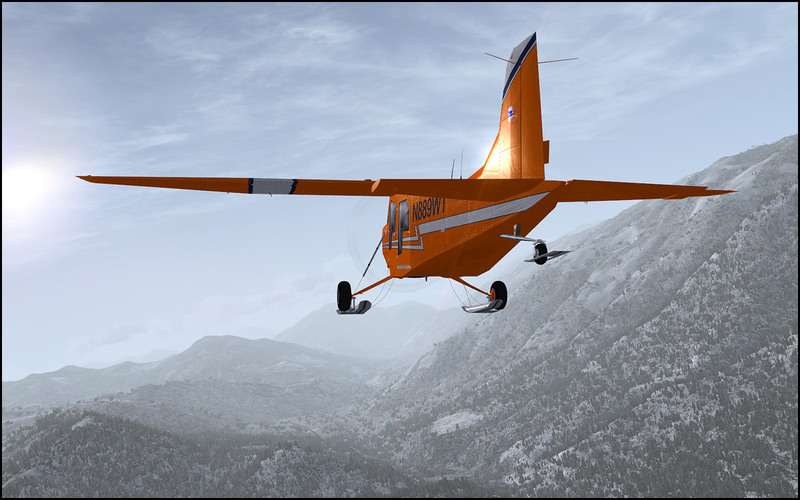 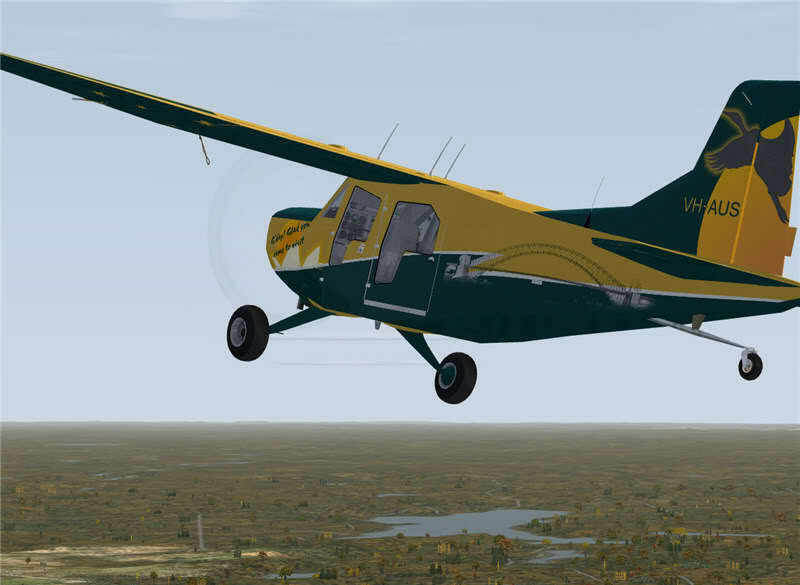 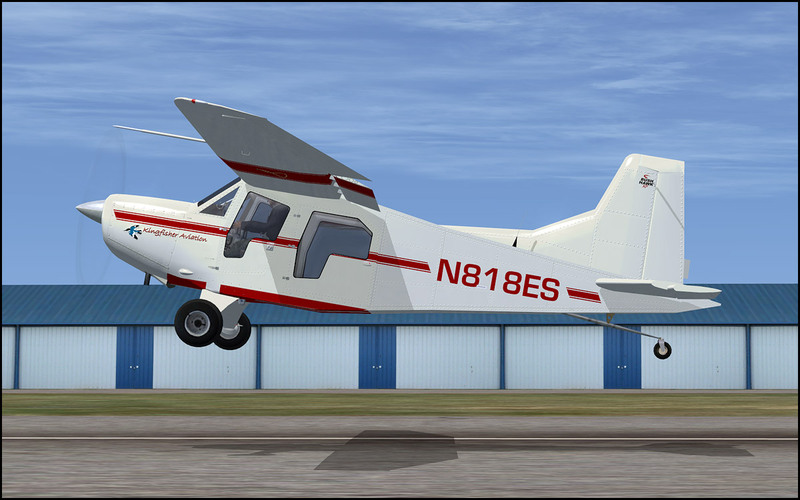 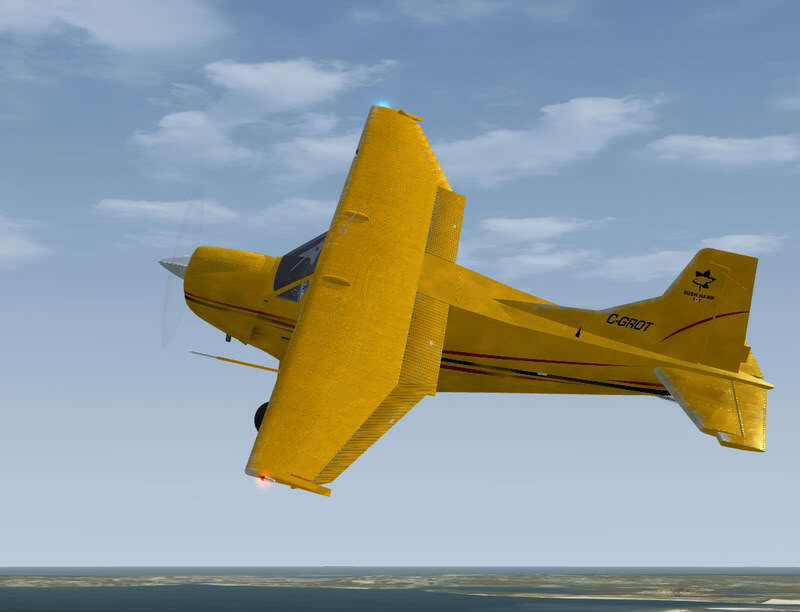 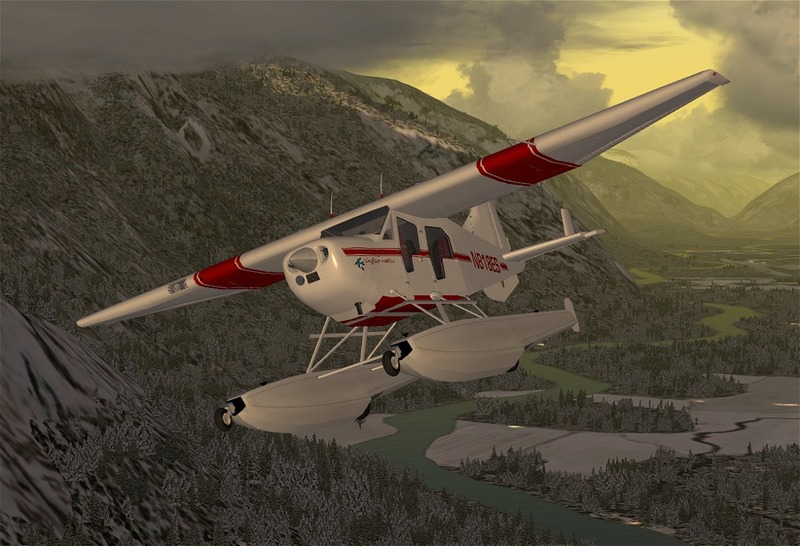 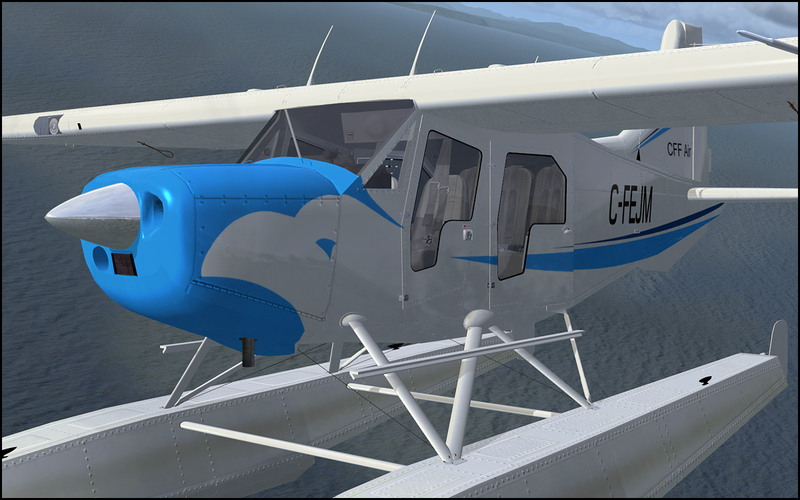 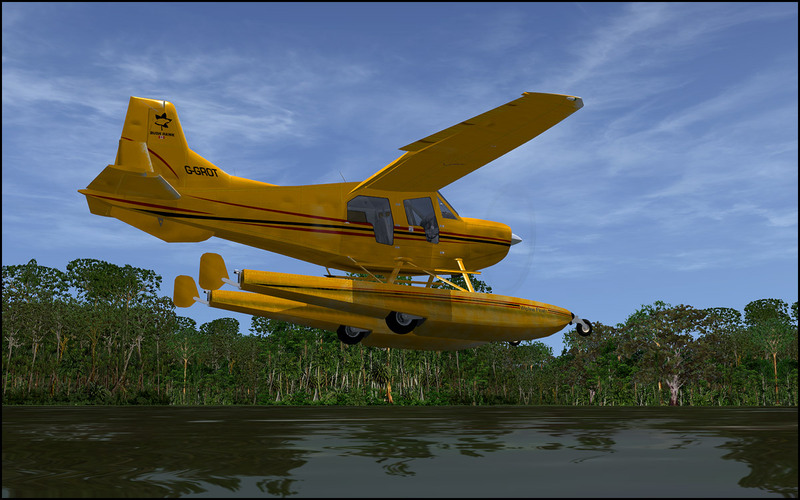 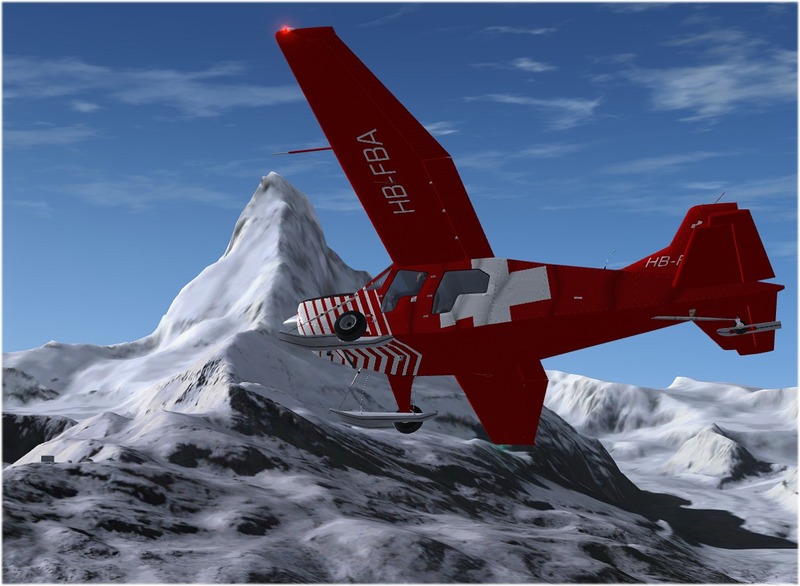 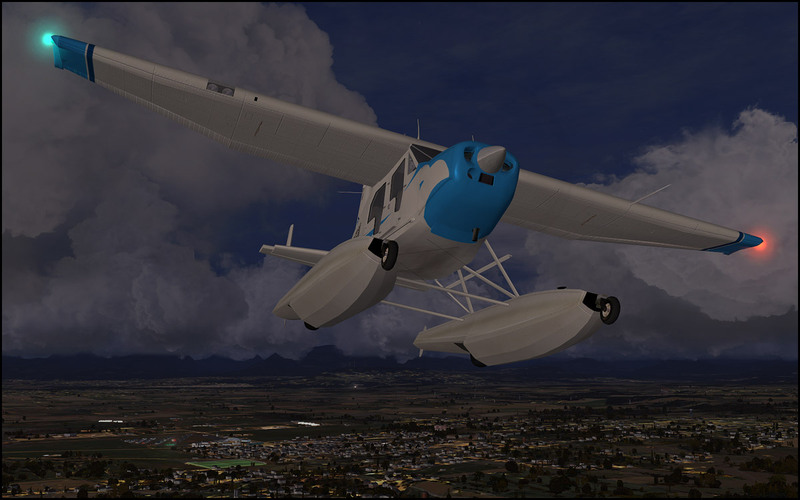 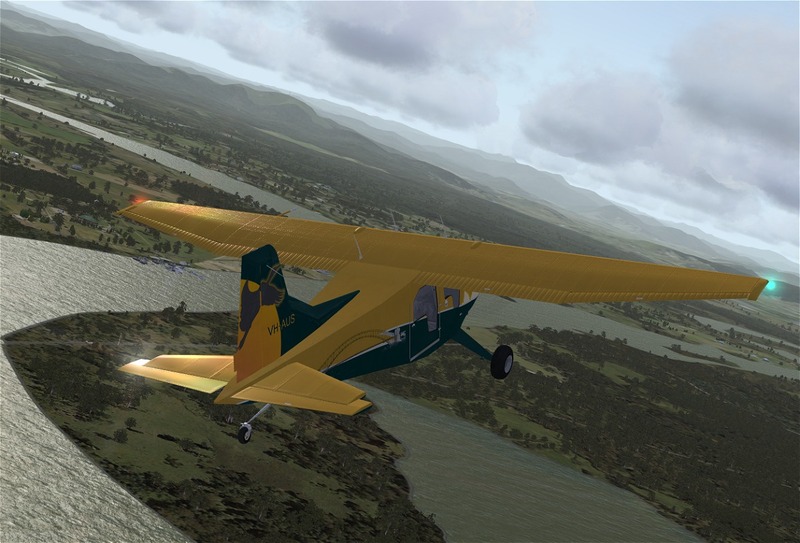 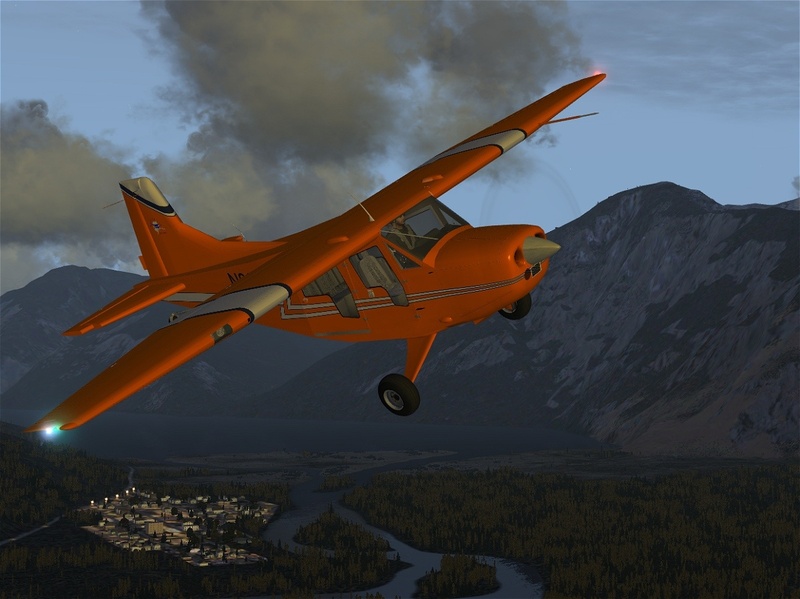 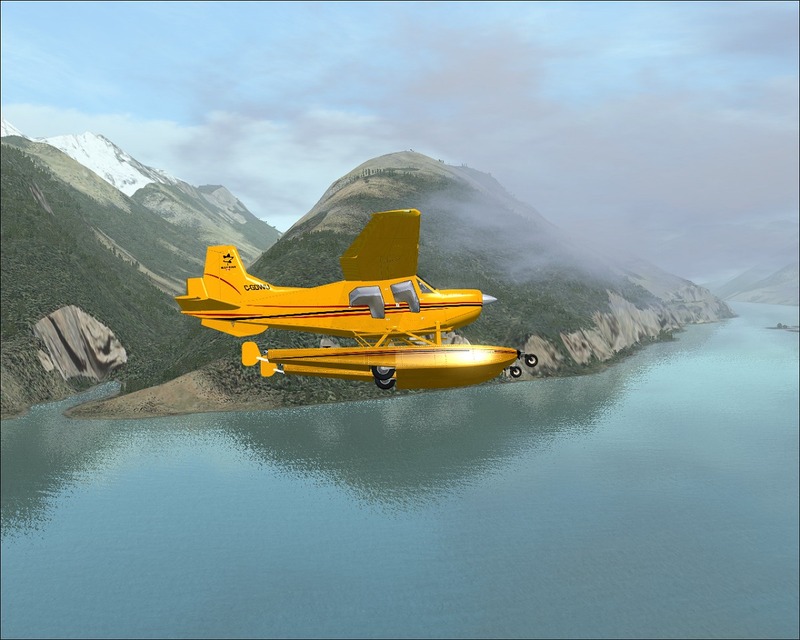 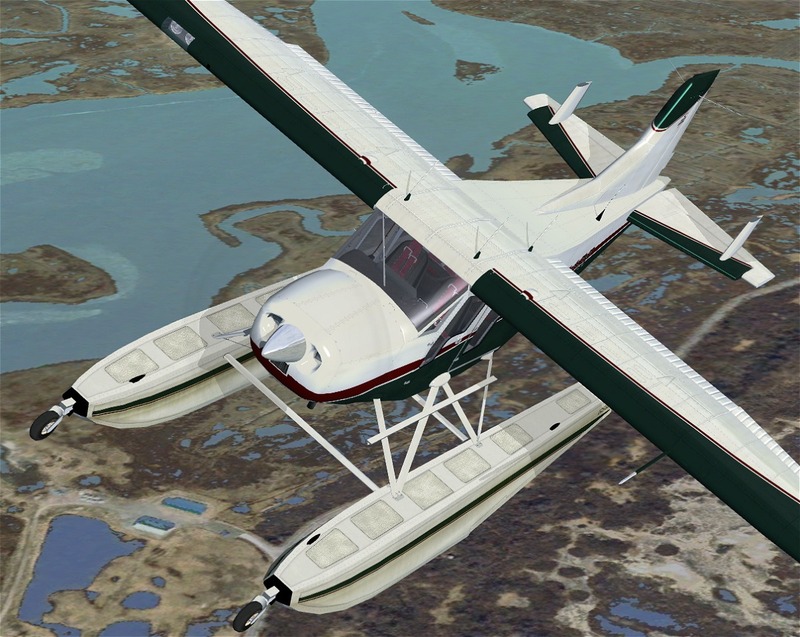 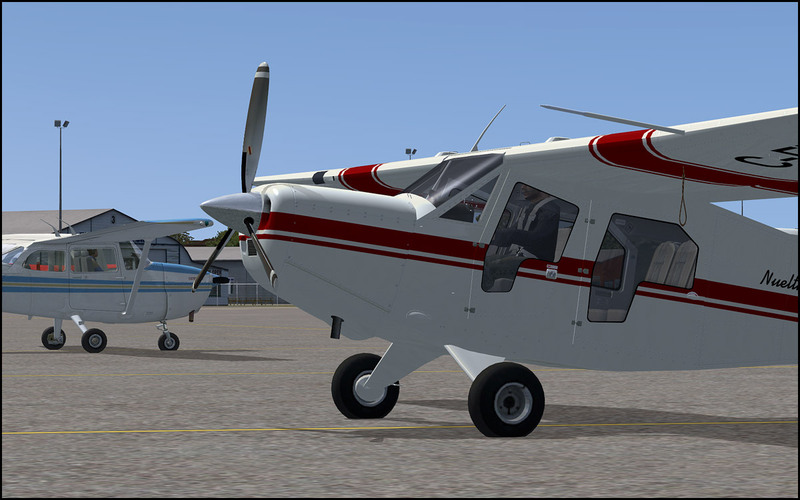 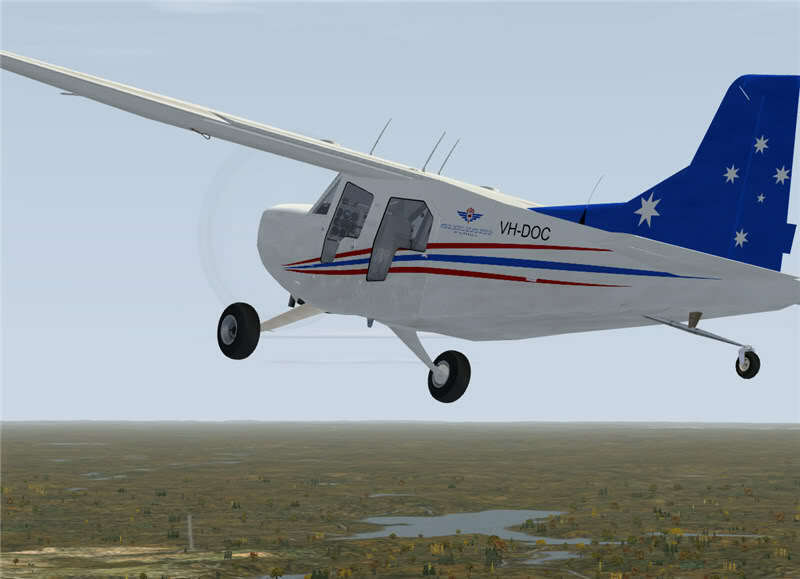 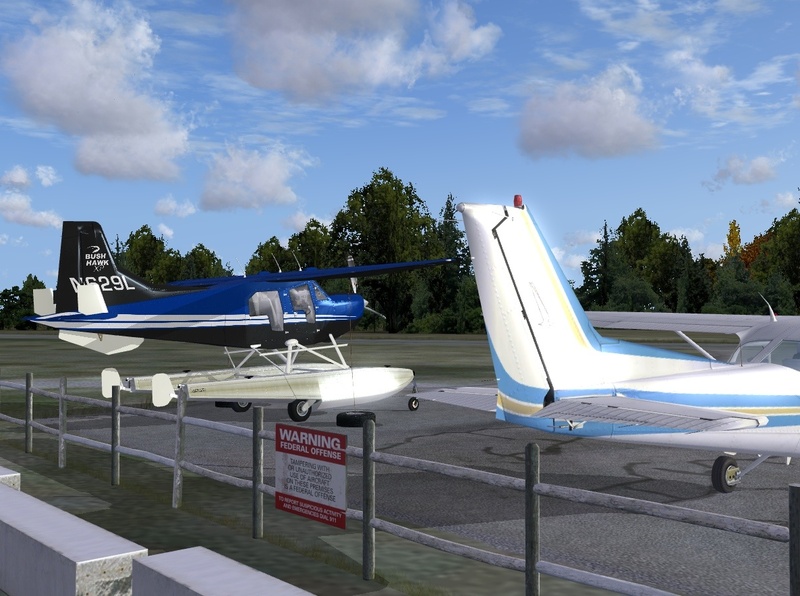 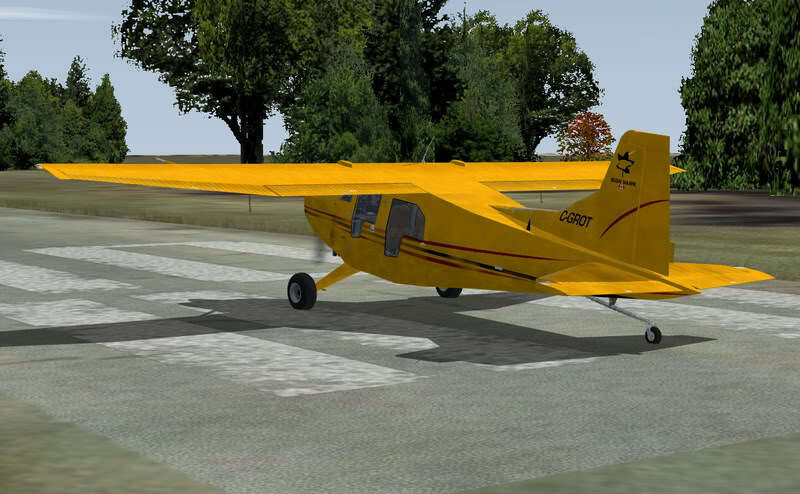 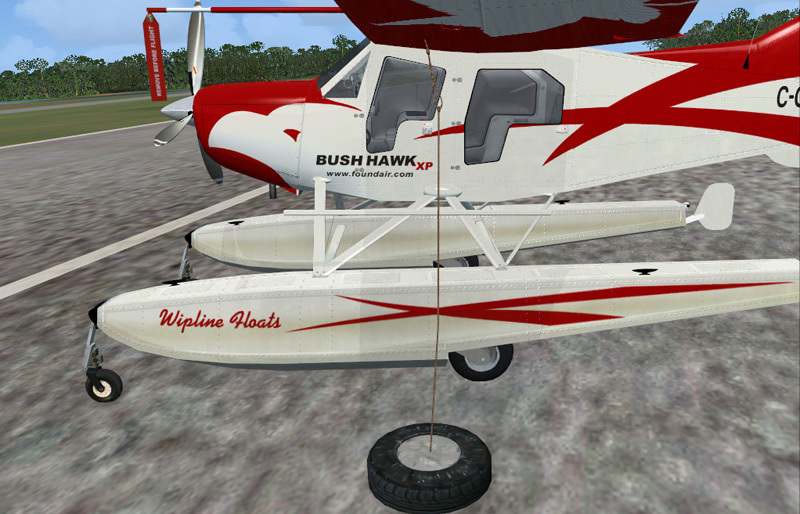 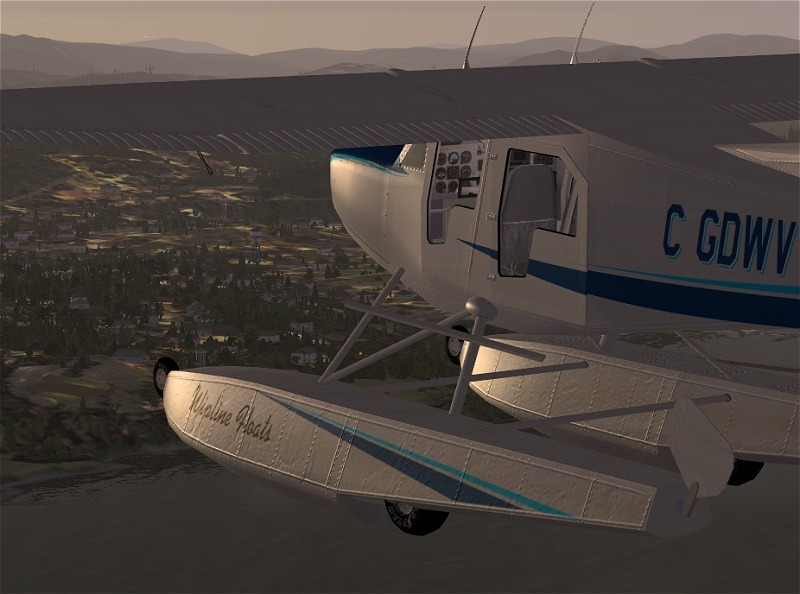 These beautiful images of the Bush Hawk XP are actually screencaptures from Microsoft Flight Simulator, featuring the Aerosoft add-on model of the Bush Hawk. 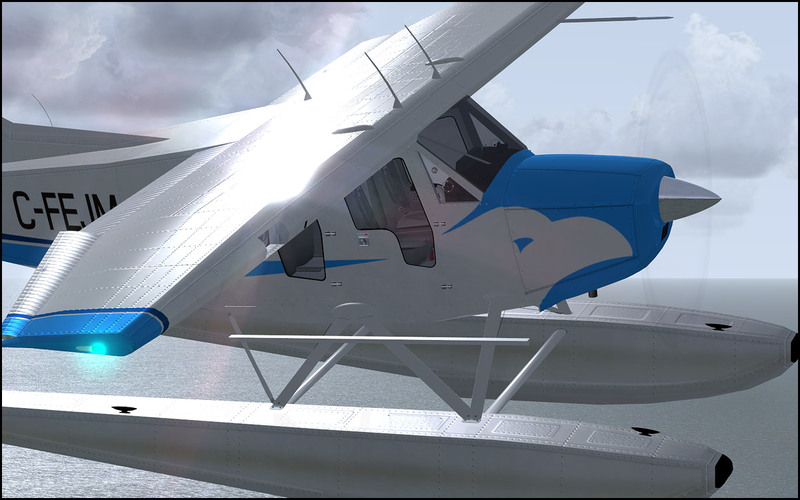 Aren’t these stunning! 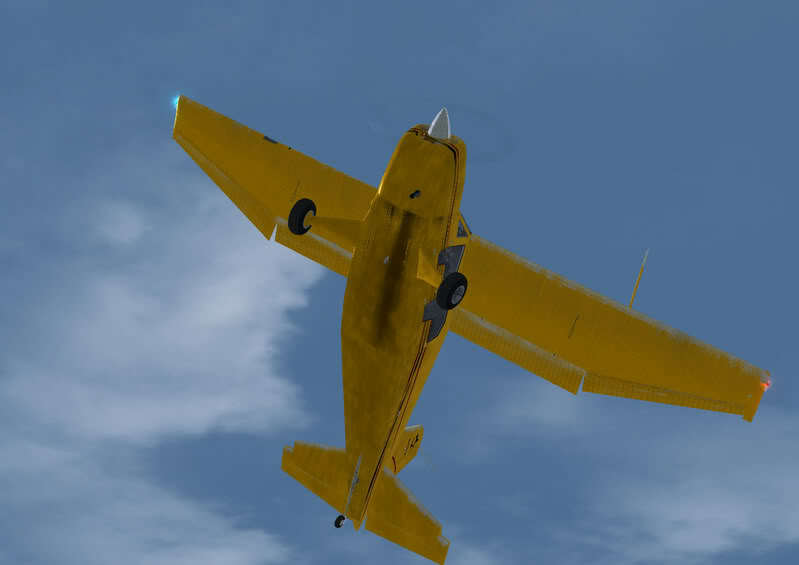 I was worried that they’d get forgotten on the forum where they were originally posted, so I gathered them up here. 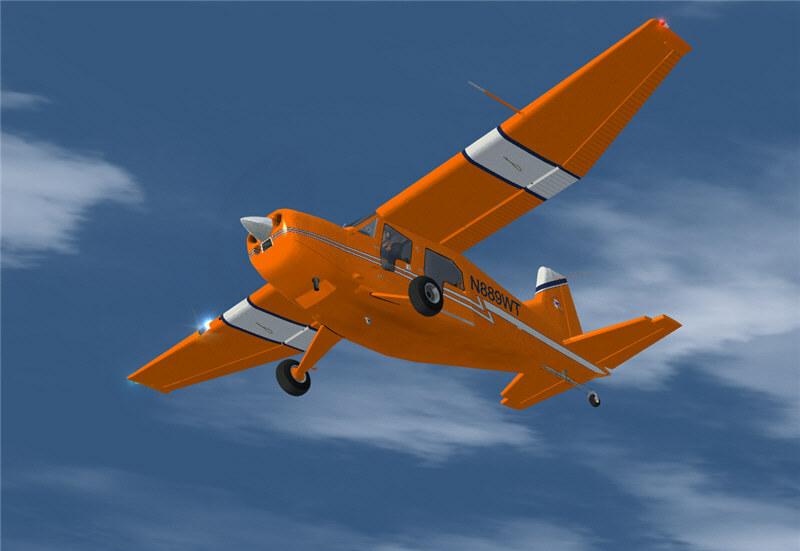 In 2008 I was looking for ideas for colors to paint an airplane. 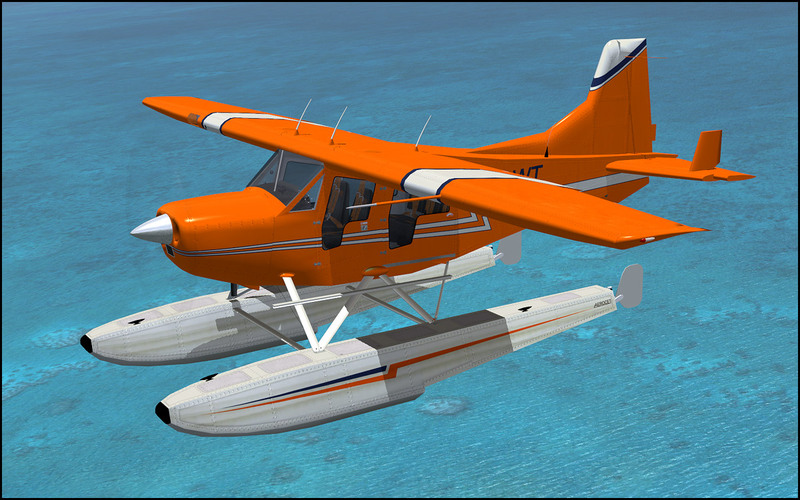 If you are too, so hopefully this will help. 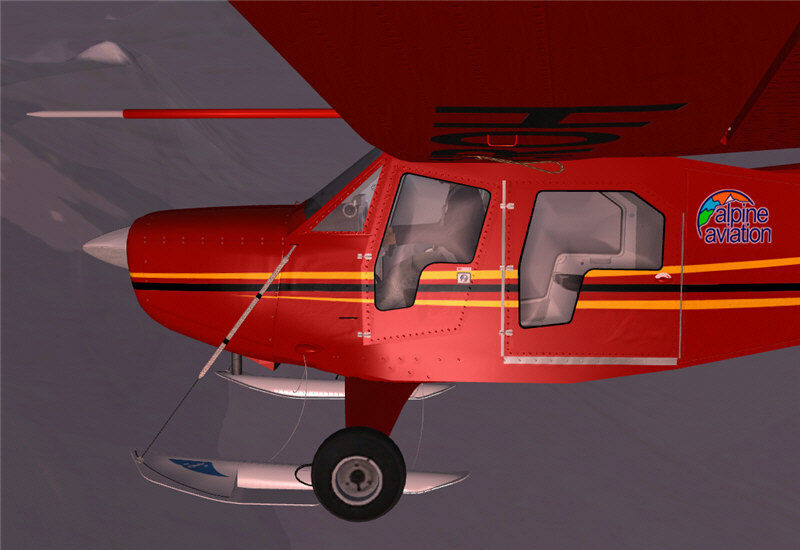 Let me explain further. 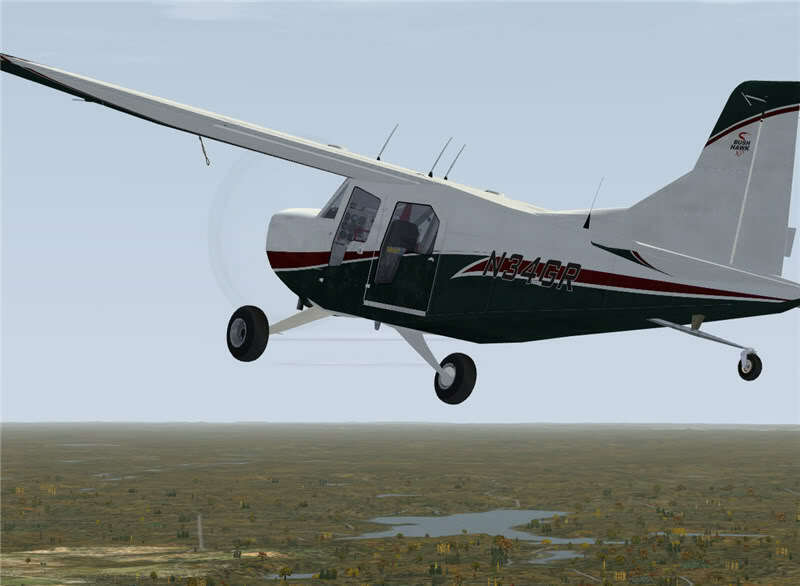 Back in 2008 I was shopping for an airplane for myself and family. 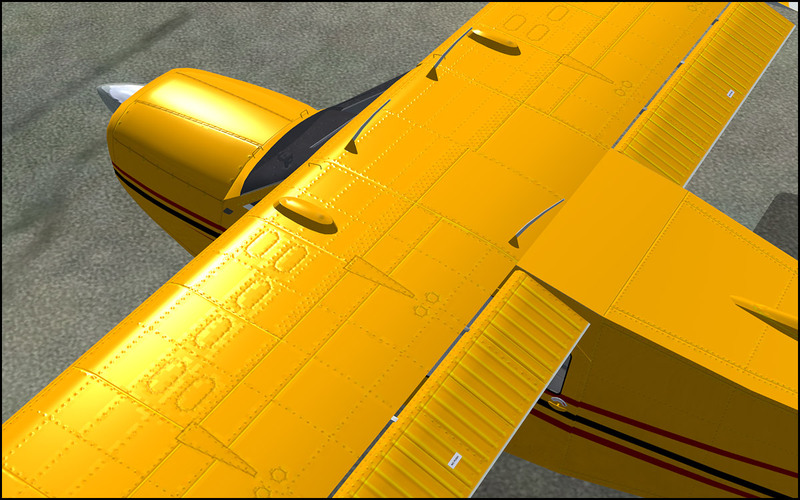 After deciding to buy an Expedition E350, I needed to provide my own color scheme to paint the aircraft. This set me off into finding examples of other aircraft paint schemes, and when I found these on a flight simulator, I was so impressed, I decided to capture the images. 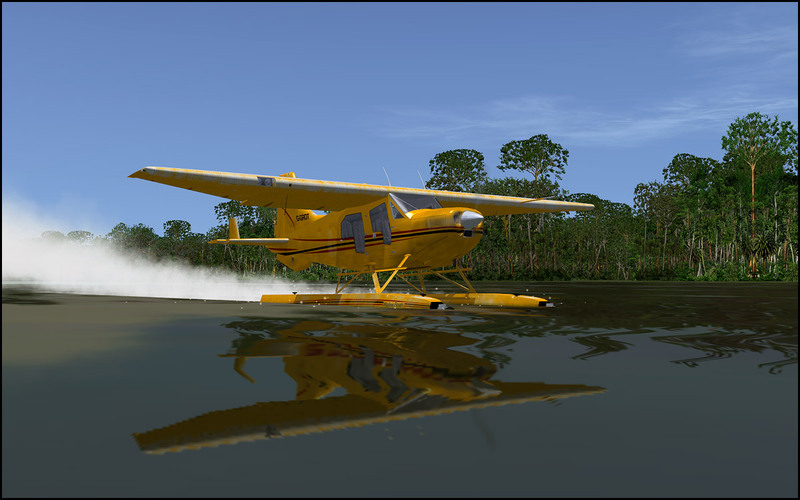 Then, in 2014, I learned that ‘duplicate content’ causes penalties, so I became worried about whether these images were hurting my website or not. 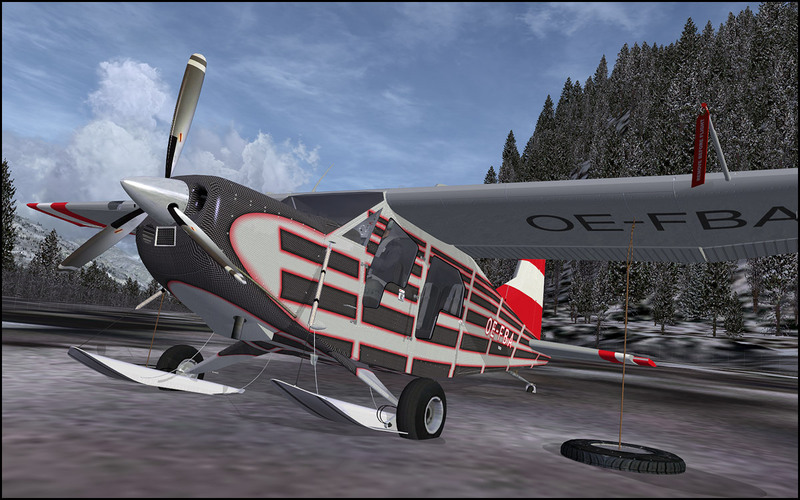 So I moved them all into this post, and set some meta noindex tags, so that Google won’t show this page in search results. 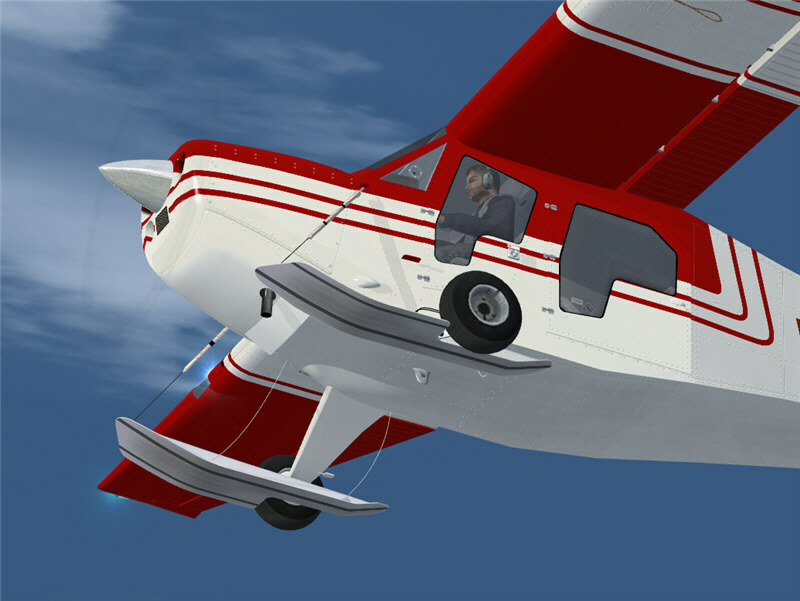 So that means, you must be a real human following links to get here. 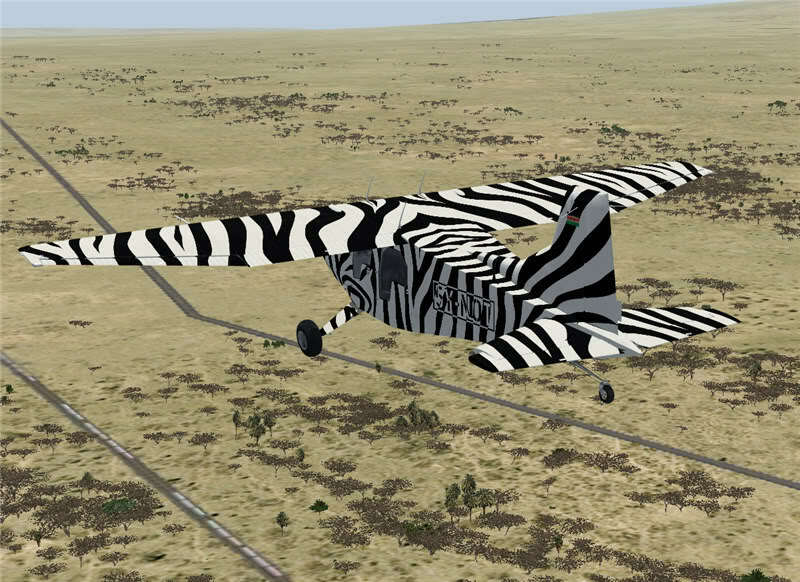 Welcome Human! 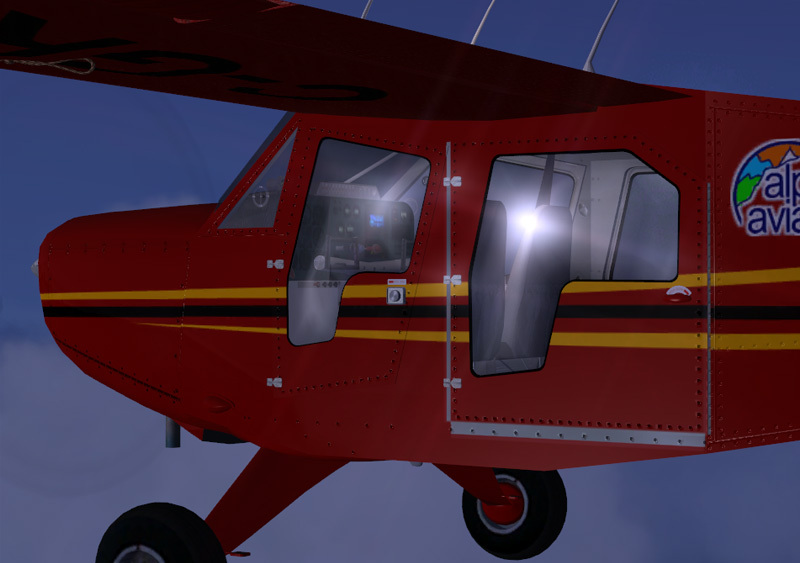 So, what color will you paint your Expedition E350? 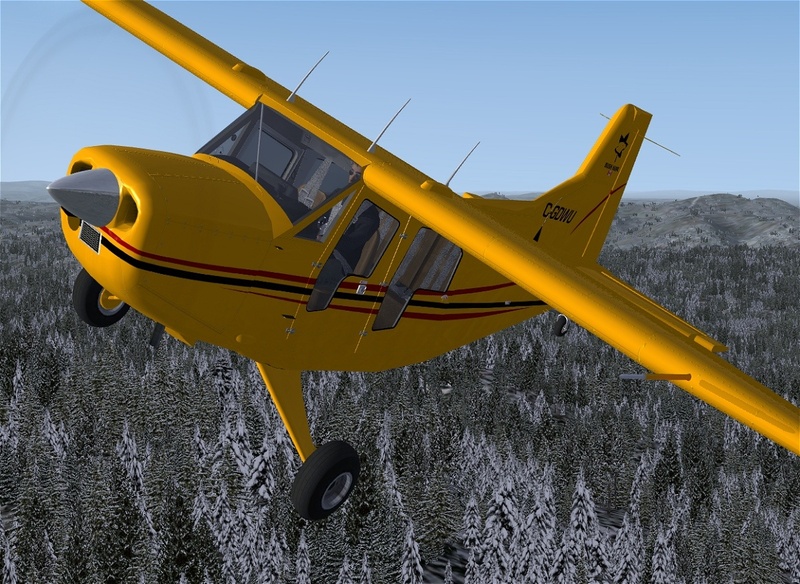 Anything but plain white or green.